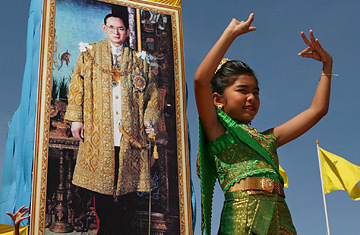 The Monarchy : Thai people have a deep, traditional reverence for the Royal Family, and a visitor should be careful to show respect for the King, the Queen and the Royal Children. The two most accessible borders are Burma (aka Myanmar) and Laos. The tourist border-crossings for each are about the same distance from Pai, but the Burmese government is a military junta and one of the most oppressive governments in the world, and much of the world has strict sanctions against them, and many human-rights groups are on campaigns to keep everybody from supporting the military junta in any way. I’m not nearly as educated on the subject as I’d like to be, but I’ve heard enough to weigh my actions. Meanwhile, Laos is more expensive and more time consuming to cross into… about $50 more expensive and an extra couple of hours of time. Does anybody go to Laos instead of Burma? Not often. 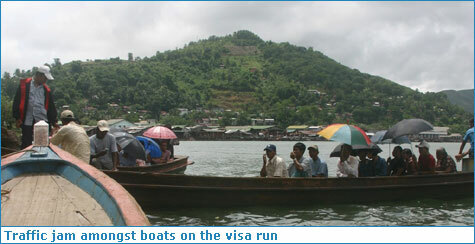 There are regular visa-runs from Pai to Burma and back. The same goes for several other popular northern cities. The van leaves every couple days at 10pm. It drives all night, drops a few people off near the Laos border, continues to the Burma Border, waits for an hour for the border-runners to cross over and back, and then drives straight back to Pai (NOT going back past the Laos border), to get everybody home by about 4pm the day after they left. Living in Thailand is great. The weather is almost always perfect; the people are super nice to you. Most people are respectful, serene, the food is amazing, and there is always something very interesting going on somewhere. However, there is one annoying thing that the majority of foreigners living in Thailand have to do every two or three months. That is to leave Thailand…. Most do not leave because they want to. They leave because they have to. It is one of these silly laws by the Thai government that stipulates that unless you are hired by a Thai company and are paid over an “X “ amount of money, are married to Thai person or are just independently rich or own a business, you must leave the country to re-new your visa outside the country. Actually, the law makes perfect sense but it is still annoying to do. Having freshly arrived back into Thailand after being gone over a month I had to leave Thailand again for the sake of my wife and kid’s visa renewal, which was almost due. They had been in Thailand for just about two months on a tourist visa and now came the time to renew the visa or change it to a “Non-Immigration” visa now that my wife is now employed (this would give her three months in the country). Most travelers come to Ranong for exactly one reason and one reason alone — to get that passport stamped so they can legally stay in Thailand for another 30 days. While doing the border run isn’t particularly pleasant, it is straightforward — particularly when you’ve got a Travelfish Howto guide on hand. The first step is to go the Thai Immigration Office near the port district of Saphan Pla to get an exit stamp. This is easily done by catching a red songthaew from Ranong market and telling the driver “Immigration”. Once at Saphan Pla it’s another songthaew ride or a short walk 500m around to the longtail docks. More than likely you’ll be met by the boat skippers or their agents outside Immigration anyway, and they’ll take you the boat as part of their fee for getting you across to Burma and back. The round-trip should cost about 300B if you have to go it alone or 100B-200B if you’re with a group. 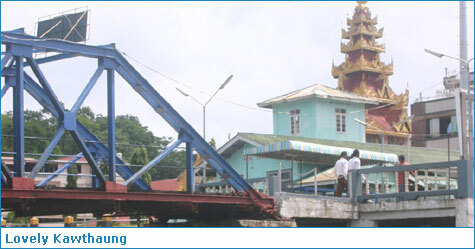 The journey across to Burma’s southernmost city of Kawthaung (sometimes still called Victoria Point, a leftover from British colonial days) takes about 40 minutes. It can be quite hairy in bad weather, and engine breakdowns do happen, so make sure you pack your sea-legs. It is also a good idea to take an umbrella to protect yourself from the rain and sea spray in the wet season and the sun in high season, though be careful not to knock any monks on the head with the umbrella as the resulting bad luck could well lead to multiple motorcycle exhaust burns in Phuket (it’s a long story — just steer clear of monks). After returning safely to Thai soil, don’t forget you need to make another stop at Immigration to get your entry stamp. Your visa renewal for Thailand is free for most nationalities, but you have to pay the Burmese military government US$5 to step onto its shore for 10min. It’s a good idea to get the greenbacks at a bank that does foreign exchange before you leave on your visa run. The $5 should cost about 200B. If you leave it until Ranong you may have to pay 300B for the bucks. The Burmese immigration officials are particularly picky about the quality of the notes, so if your Abe Lincoln isn’t spotless, creaseless and brand spanking new you’ll have to pay 300B anyway. Foreigners on visa runs can stay in Kawthaung for up to two nights but are not allowed to use it as a base for further exploration of Burma. Points of interest that stick out are the temple, the men’s traditional dress (called longyi), street kids and the overall poverty of the place compared to Thailand. 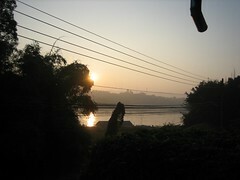 If you do want to stay, there are a few options available: The Honey Bear Hotel is on Strand Rd and is visible from the boat as you approach the dock; the Kaw Thaung Motel Phone: (059) 51 046 or (059) 51 139) is around the other side of the hill on the main road leading away from the pier and the Taninthary Guest House Phone: (059) 51 784, (059) 51 785 is on Garden St, off the main road. “You want whiskey? Cigarettes? Opium, heroin, viagra, cocaine, marijuana?” The touts that come out to greet you when the boat docks at Kawthaung often sound like they’ve been listening to too much Queens of the Stone Age. Whatever lies at the heart of this enigmatic and still very closed nation, it certainly can’t be found with these guys. 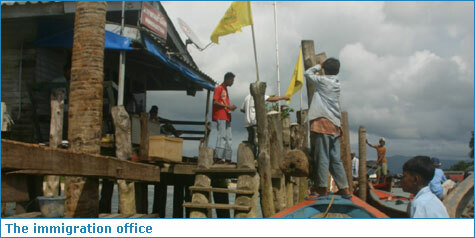 You usually have 10-20 minutes before the boat heads back and many ex-pats use this opportunity to buy up to two cartons of cigarettes (80B-100B each) and two bottles of spirits (50B-100B each). Don’t even consider bringing the other stuff back though — the tout who sells to you will inevitably call the Thai police and give them an exact description of you and the group you are with. As your return bus passes through a checkpoint, the long arm of the law will pull you out and slap you with a heavy fine and possibly jail time, and the Burmese tout gets a kickback to boot. This happens more than you’d think. If you don’t want to worry about the transport particulars, travel agencies on Phuket, Khao Lak, Ko Samui, Ko Pha Ngan and Ko Tao along with destinations further afield, can set the whole thing up for up for you. It takes about a day-and-a-half from the Gulf islands and a full day from Phuket. It’s more expensive than if you do it yourself, but you get to ride on a VIP bus and often meals are included. 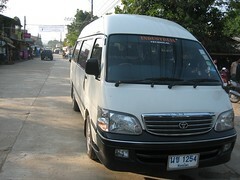 Often the “posh” run makes for a quicker journey to Ranong, but slower visa processing once you’re there because you arrive at Immigration the same time as the 40 other people on your bus.